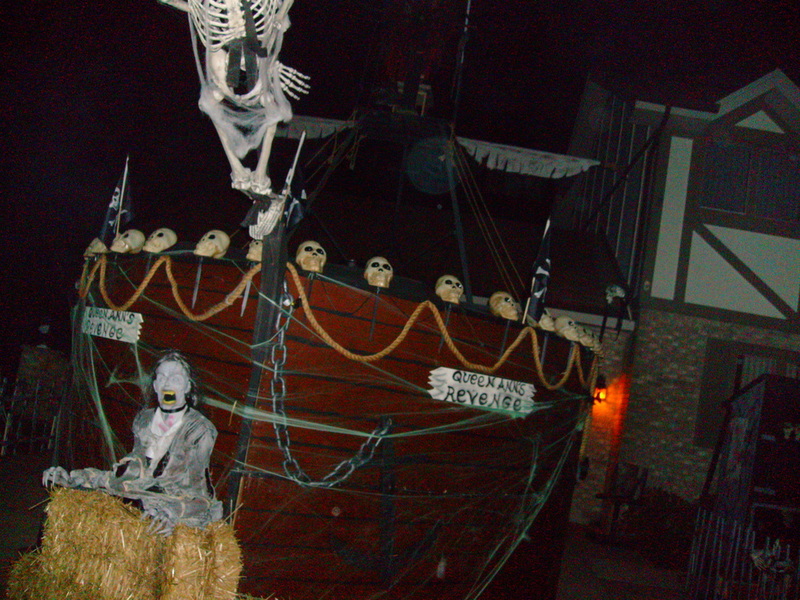 However, the ship is not the only sight on display at Krohn's House of Terrors. 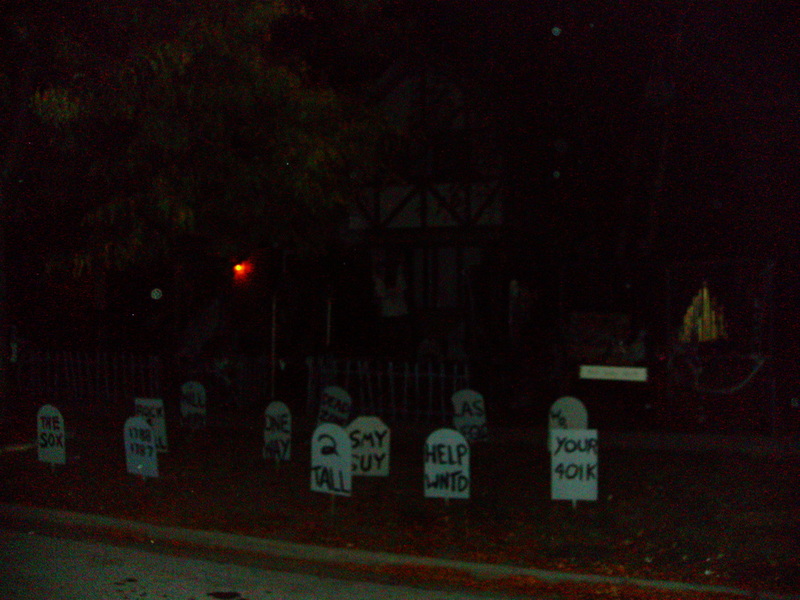 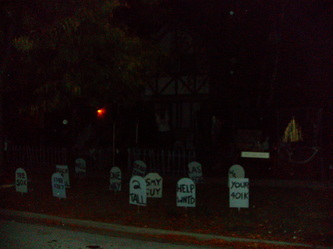 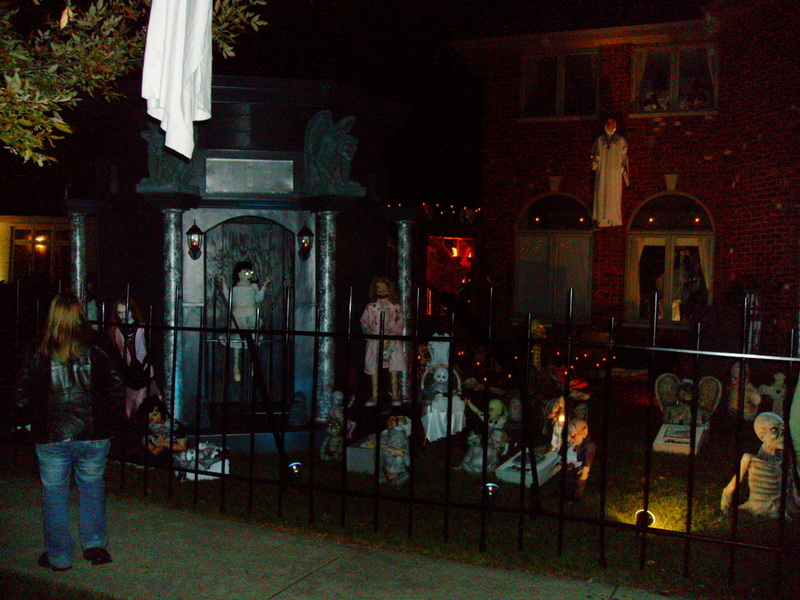 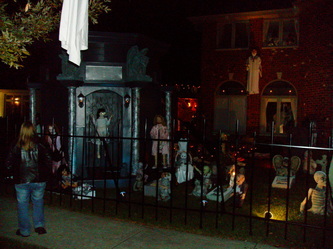 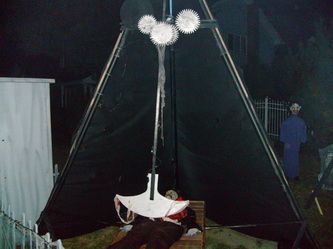 In addition, the entire front yard is chock full of various props, both animated and static. 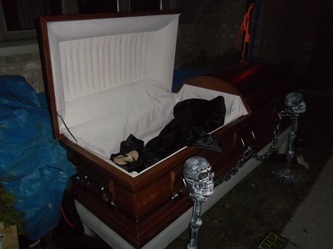 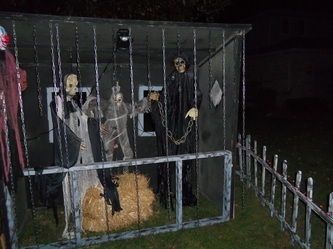 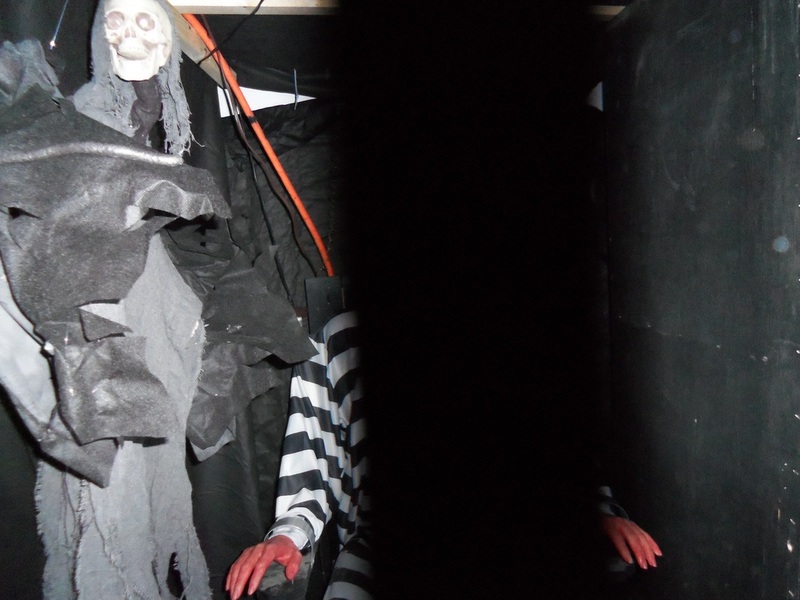 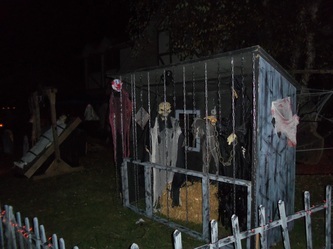 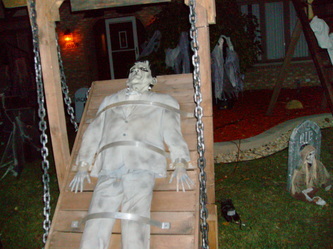 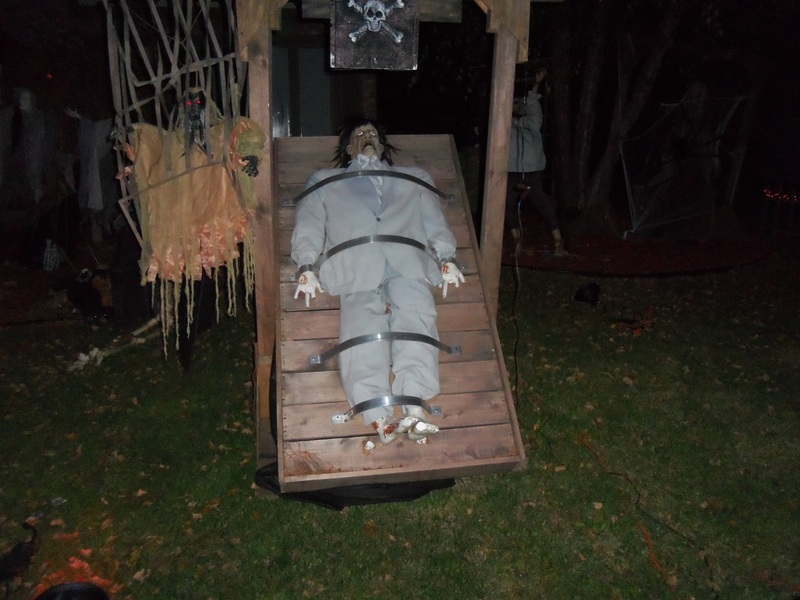 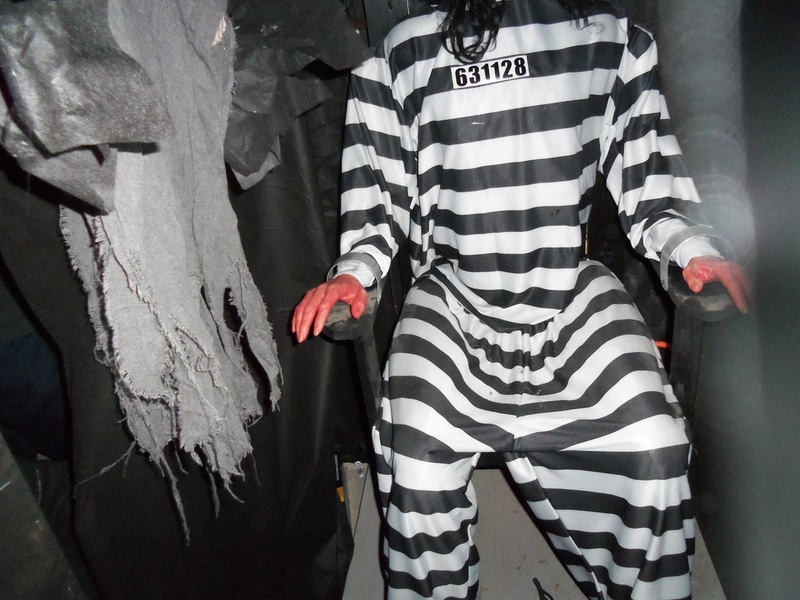 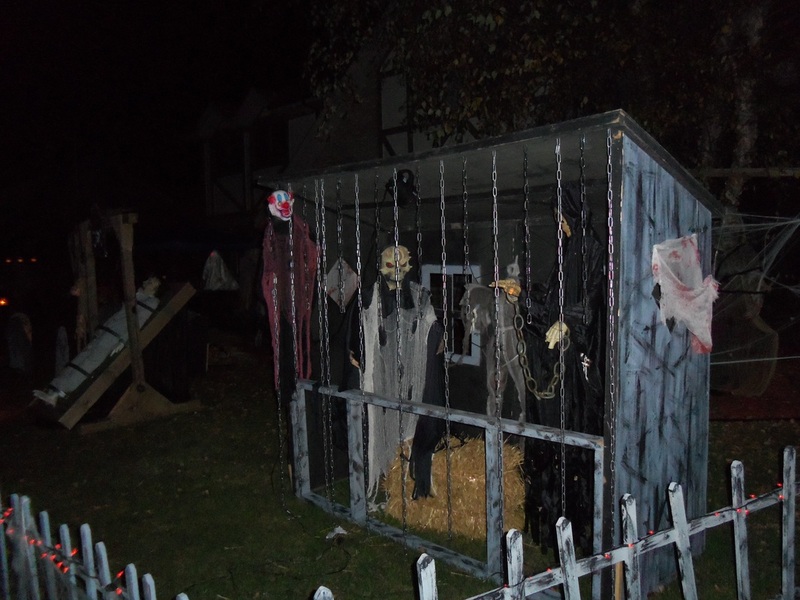 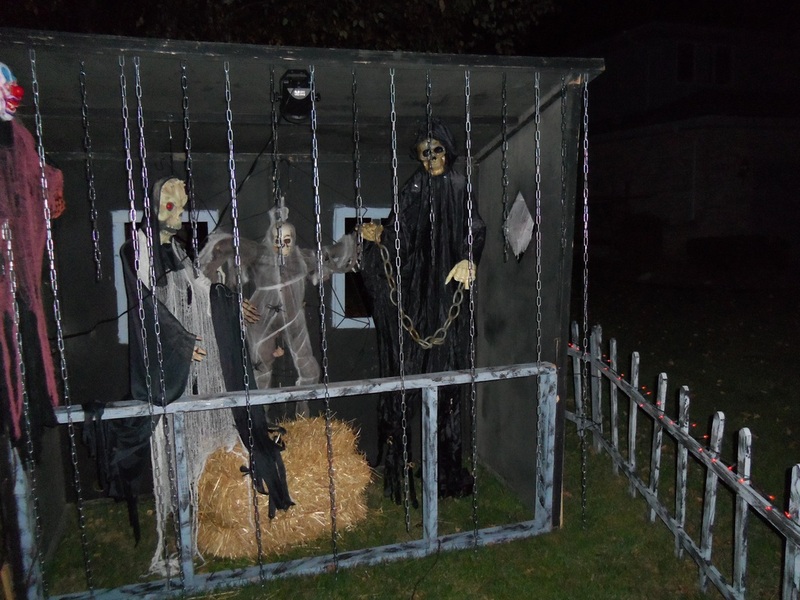 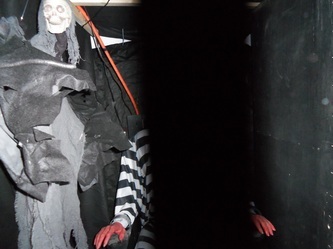 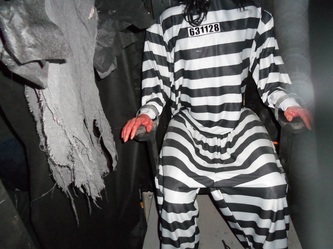 Some of our favorites included a life size pendulum cutting an unfortunate victim in half and a life size Frankenstein's monster strapped down on a moveable rack. 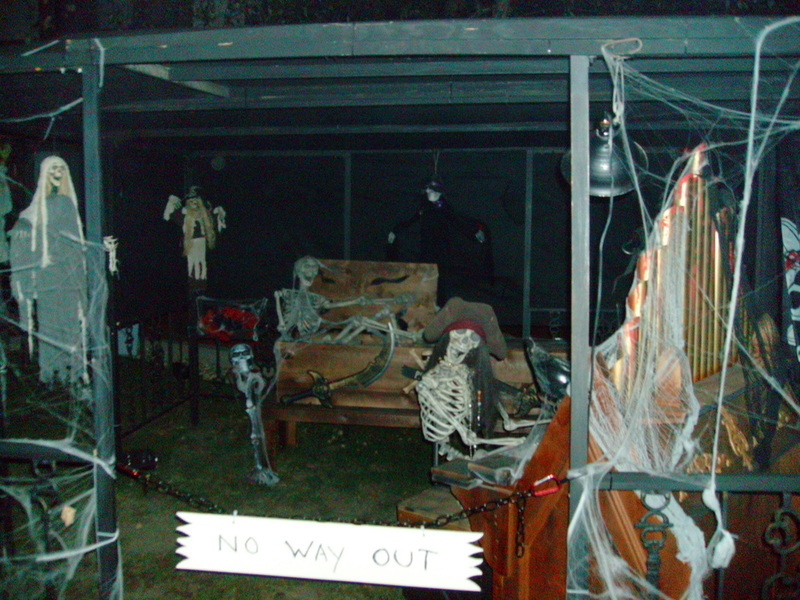 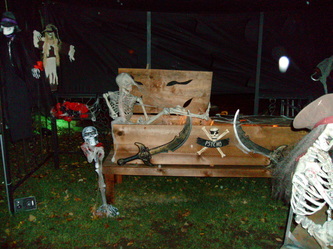 Additionally, there was a separate setup on the right side of the front lawn featuring all sorts of skeletons, including a skeletal pirate playing the pipe organ! 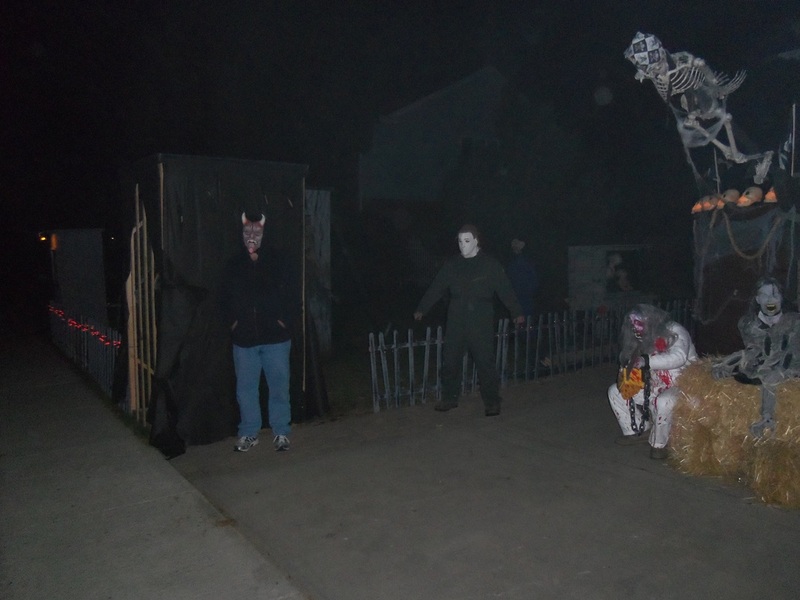 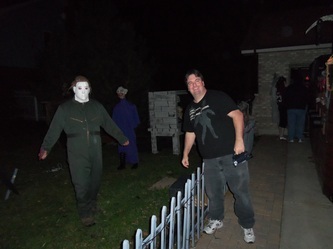 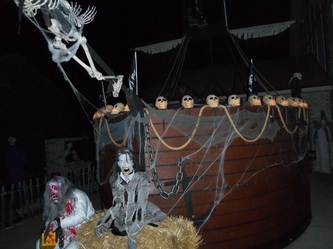 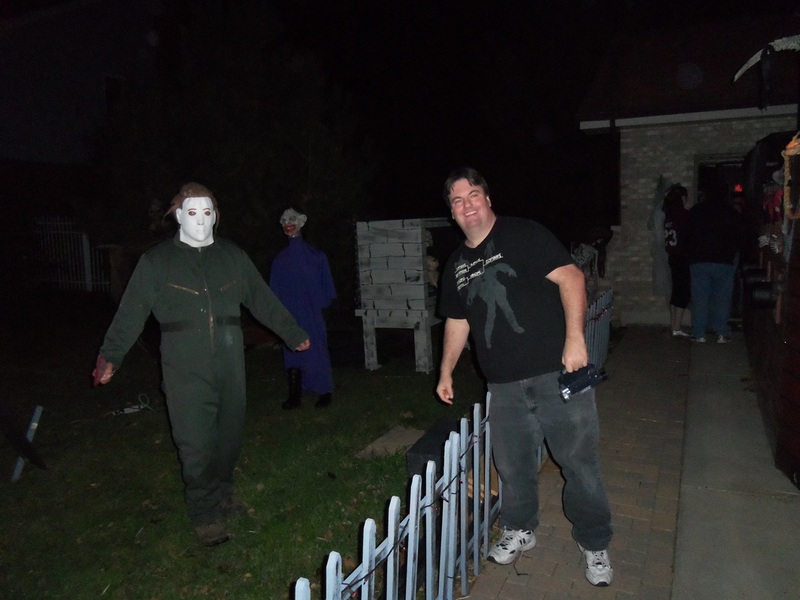 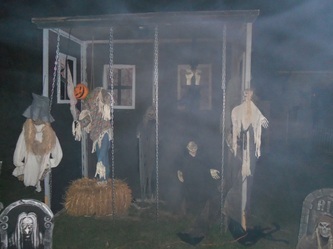 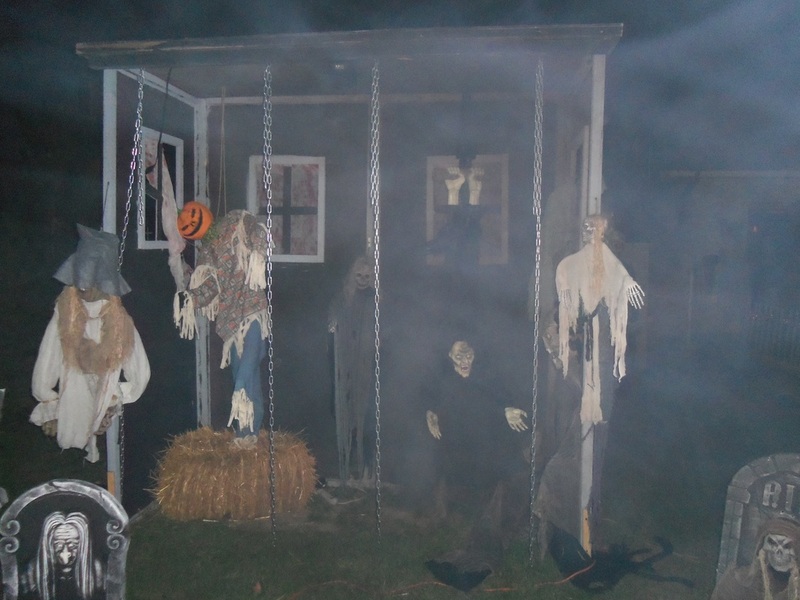 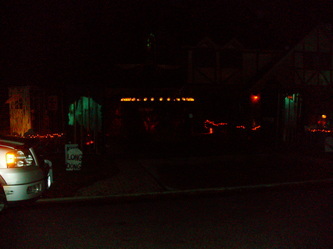 Not only does Krohn's feature elaborate displays, on certain nights there is a fully functioning haunted house walkthrough in the garage and live actors out front. 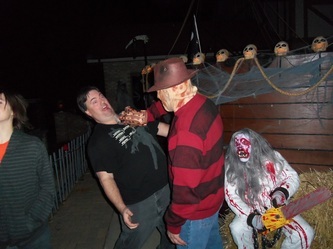 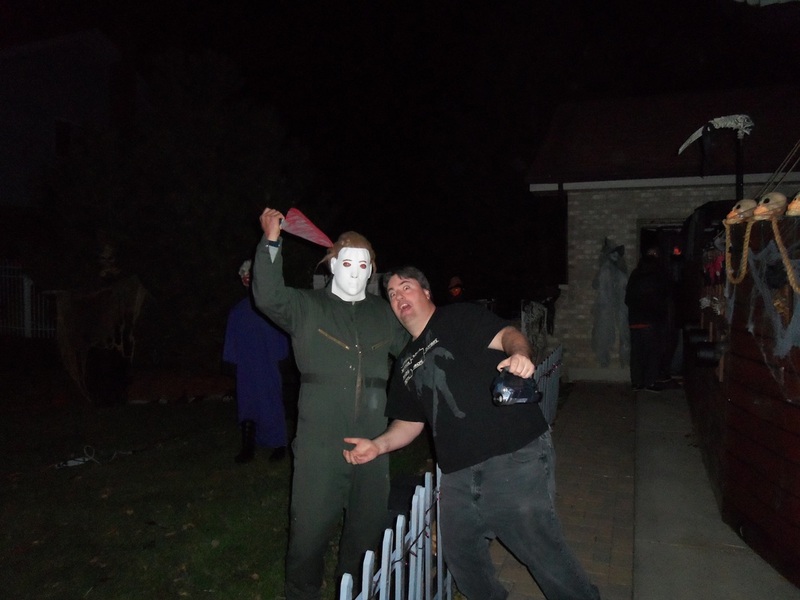 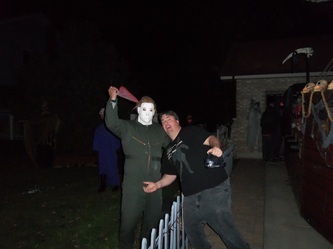 On our first visit the haunt was not completely set up, but we were allowed to walk through anyway, Inside were various props including a ghoul being electrocuted and a life size moving Jason Voorhees. 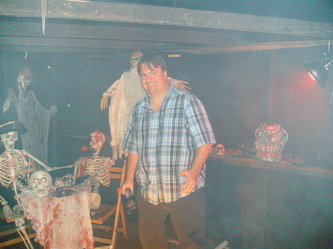 These, along with some eerie lighting and several live actors who were well hidden made for a memorable experience. 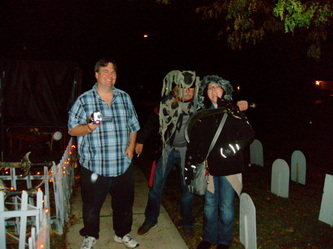 In fact, the live actors got Laura several times during our walkthrough, which amused us very much! Overall, Krohn's is a must do for any Halloween enthusiast. 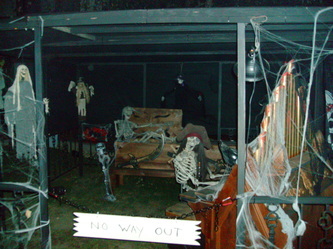 There is a lot to see even when there is no functioning haunt, and when there is the atmosphere can't be beat. We highly recommend adding this to any haunt itinerary.